Shooting with an old medium format film camera enables you to take pictures of children without being creepy. With a Yashica Mat 124 G, you have to look at the top instead of the back of the camera. Truly a whole other experience and very Zen-like. 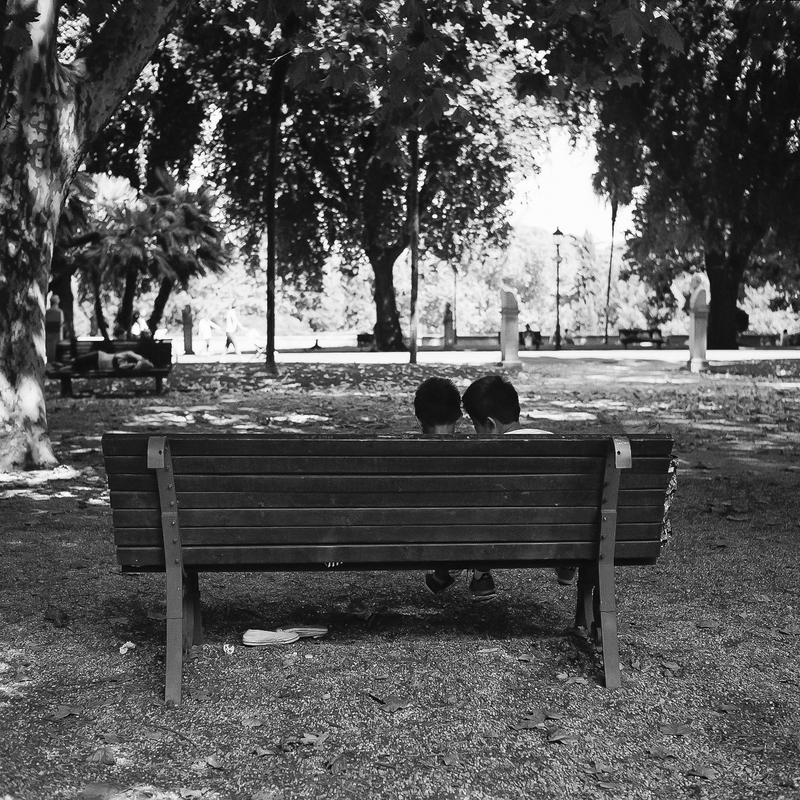 I caught these boys in one of the parks in Rome, totally emerged in their play with a smartphone.